Megatronics is based on many famous open-source products including: Arduino Mega 2560, RAMPS and SD Ramps. Therefore this product is an already proven design. 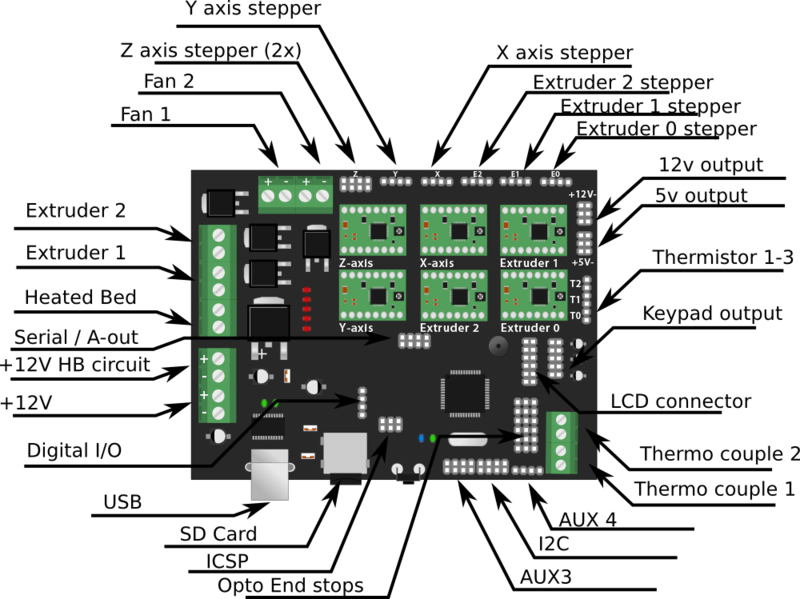 It combines all major features of these board into a single board solution for more reliable 3D-printing. Megatronics has a powerful Atmega2560 processor with 256 kB memory, running at 16Mhz. The board can be connected to a PC using a normal USB cable. It will register as FTDI FT232R device. The board is compatible with the Arduino Mega 2560 and will therefore be easily programmed from the Arduino IDE.